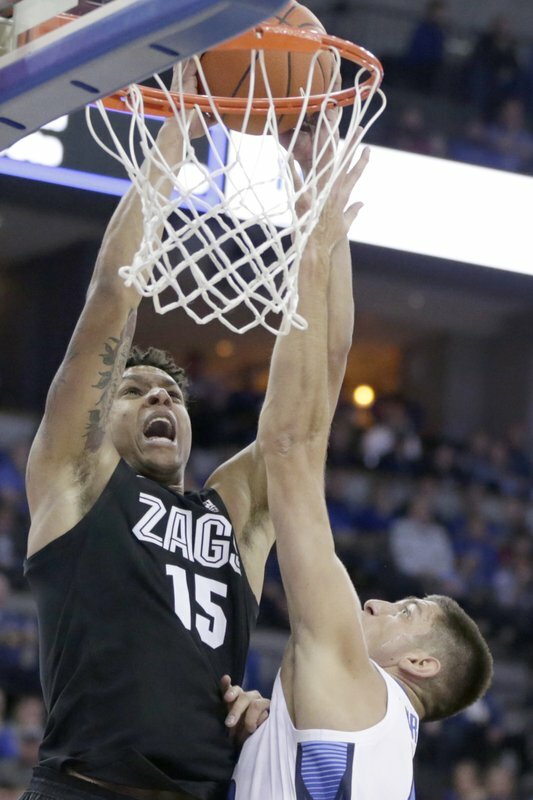 Zach Norvell Jr. scored 23 of his career-high 28 points in the second half, and top-ranked Gonzaga wiped out an early double-digit deficit and beat Creighton 103-92 on Saturday. The Bulldogs (8-0), who took over the No. 1 ranking this week after beating Duke in the Maui Invitational, overcame a boisterous crowd of more than 18,000 at the CHI Health Center to win in their first true road game. Norvell was held in check the first 20 minutes but came out strong after halftime as he did in last year’s win over Creighton in Spokane, Washington. The Zags, down 48-41 at half, got eight quick points from Norvell to pull close, and Corey Kispert’s 3-pointer put them up 66-65, their first lead since early in the game. The Bulldogs held Creighton (6-2) scoreless for nearly four minutes in the middle of the second half while going on a 12-0 run to go up 84-73. Norvell hit two 3-pointers and a layup during the spurt while Creighton missed five shots and turned over the ball three times. Last year Zach Norvell Jr. scored all 21 of his points in the second half in Gonzaga’s 91-74 win over the Bluejays. This game matched two of the nation’s top offensive teams. The Zags came to Omaha second in scoring and first in field-goal percentage. Creighton came in scoring 83.6 points per game and third in overall and 3-point shooting. Brandon Clarke added 27 points and 10 rebounds and Rui Hachimura added 22 and 11 boards for the Bulldogs. Ty-Shon Alexander led the Bluejays with 27 points. Damien Jefferson had 15 and Martin Krampelj 10. The Bluejays started with a flurry. Krampelj bulled past Clarke from the top of the key to the basket and finished with a dunk. Krampelj then put back a Davion Mintz miss and pumped his right fist to get the crowd going again before Marcus Zegarowski fed Alexander underneath for an easy basket as the Bluejays built their lead to as many as 11 points. Gonzaga: With Geno Crandall (hand) and Killian Tillie (ankle) out because of injuries, this was a major test. 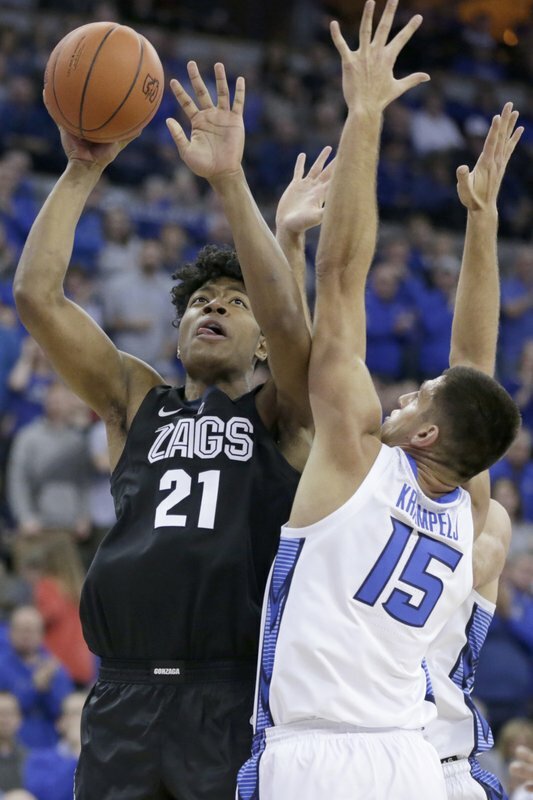 The Zags had trailed for only 23 of a possible 280 minutes coming into the game, and they had to play from behind most of the afternoon until they took control the last 10 minutes. 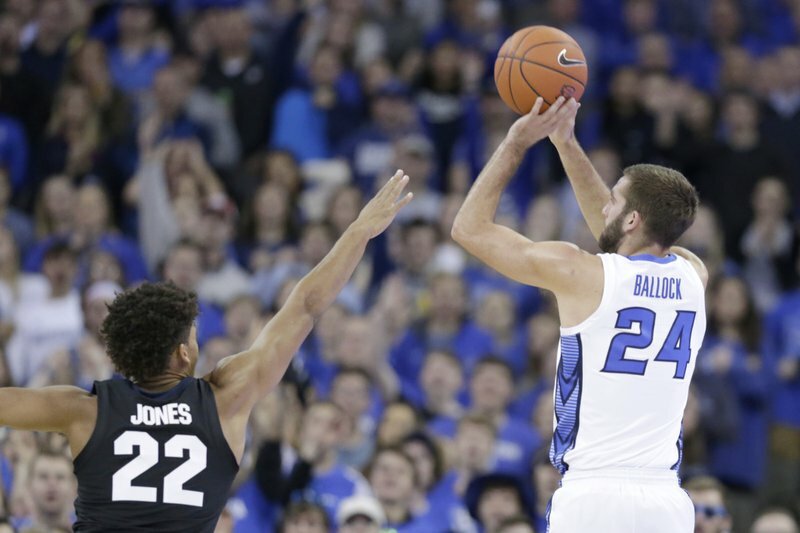 Creighton: The Bluejays fell short of knocking off a No. 1 opponent for the first time in three tries. But they are much further ahead of where most expected them to be after getting picked ninth in the 10-team Big East. Gonzaga hosts Washington on Wednesday. Creighton visits Nebraska on Dec. 8.